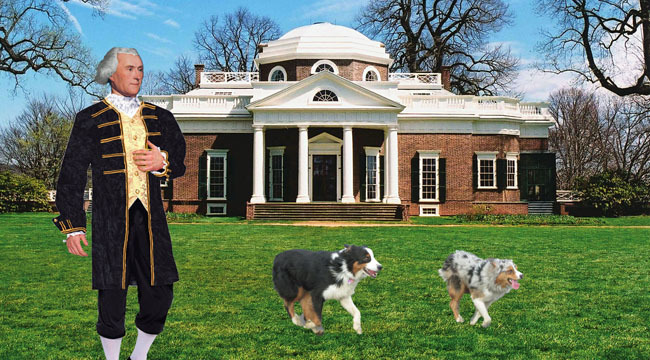 THOMAS JEFFERSON ON CROSSCURRENTS, 4/13: – Doggedly Yours… Howling, Humor, and History. So glad to see what Wyatt and Gavin are up to!!! You can click the “follow” button or simply check back for future entries. We hope to get on the blog at least once per week. Of course, I have more time than Wyatt. He is busy getting ready for the obedience trial next month in May.